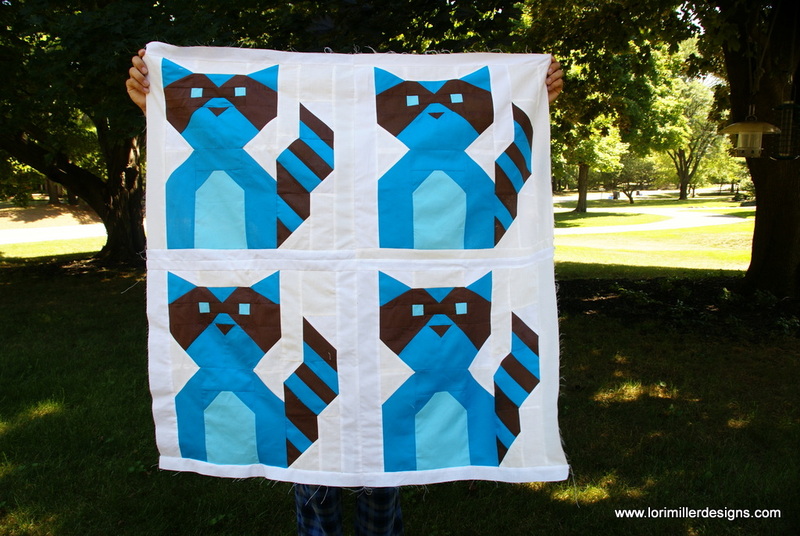 This little sweet Baby Quilt with the Raccoon Bandit has been published in Fons and Porter’s Easy Quilts Summer 2017 Magazine. I am happy to share this cozy little cutie with you. My girlfriend called to say she had received her newest issue and had found my original pattern. 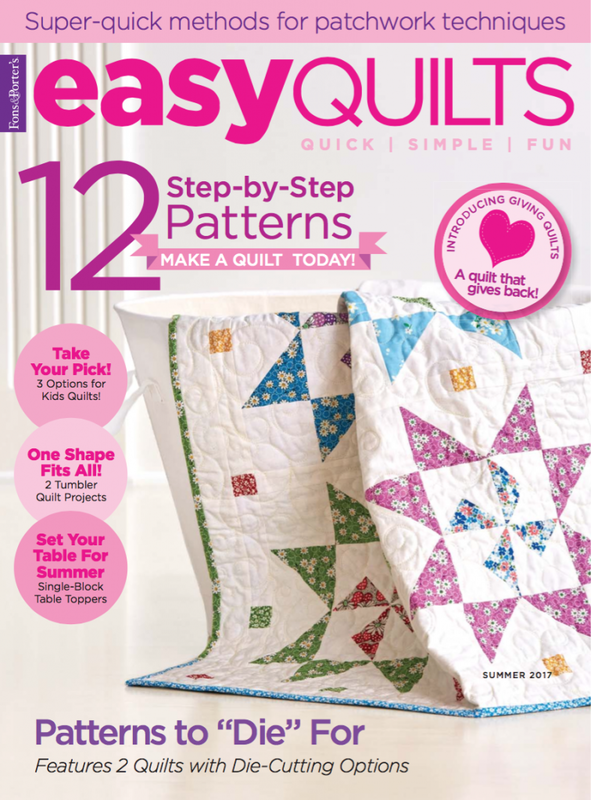 It is always a nice surprise since you make your quilt months in advance for the Magazine and have to wait for the published issue to arrive. 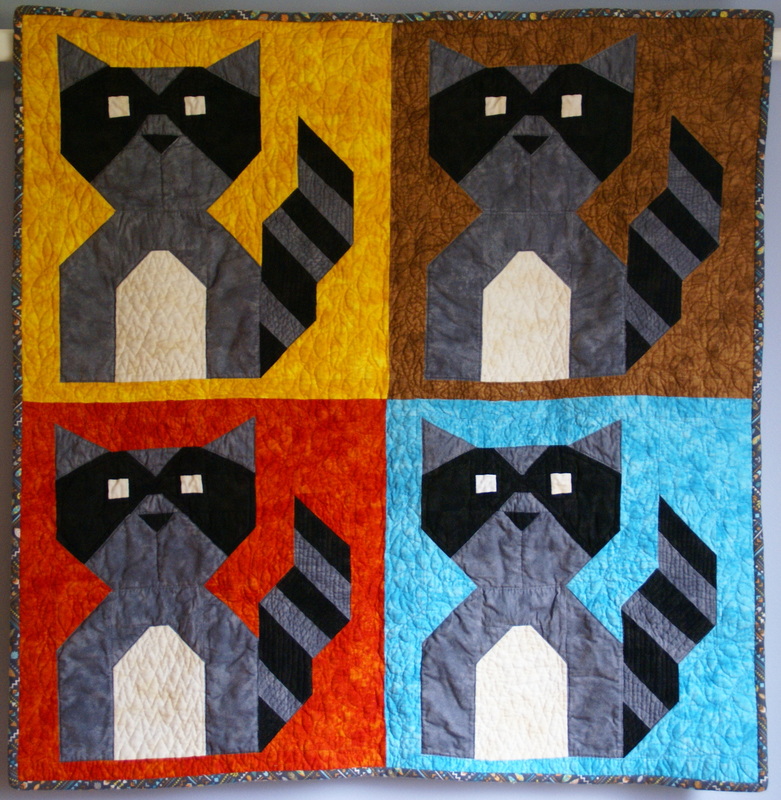 I used EQ7 to design this quilt. 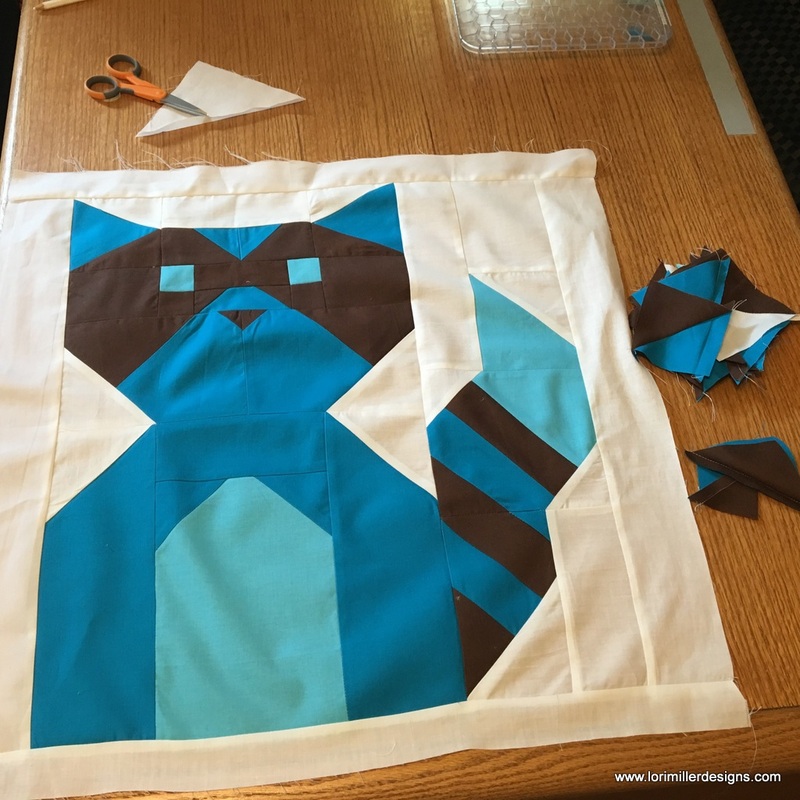 I was able to upload swatches of the actual fabric I was going to use and get a good idea of what the quilt would look like. Northcott Fabrics generously provided the material which was a gorgeous, heavy weight flannel. 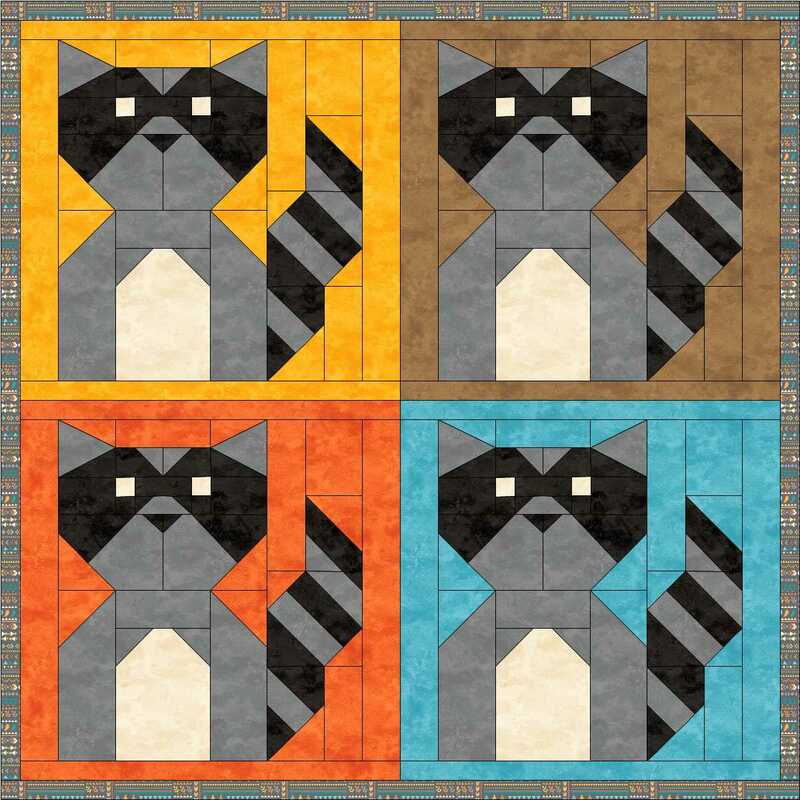 I used prints from TeePee Time by Deborah Edwards that had a super cute little raccoon in the design and I coordinated with Toscana flannels also by Deborah Edwards that has a nice mottled look that blends well with the prints. These sewed and washed up beautifully and they have a very nice hand feel. 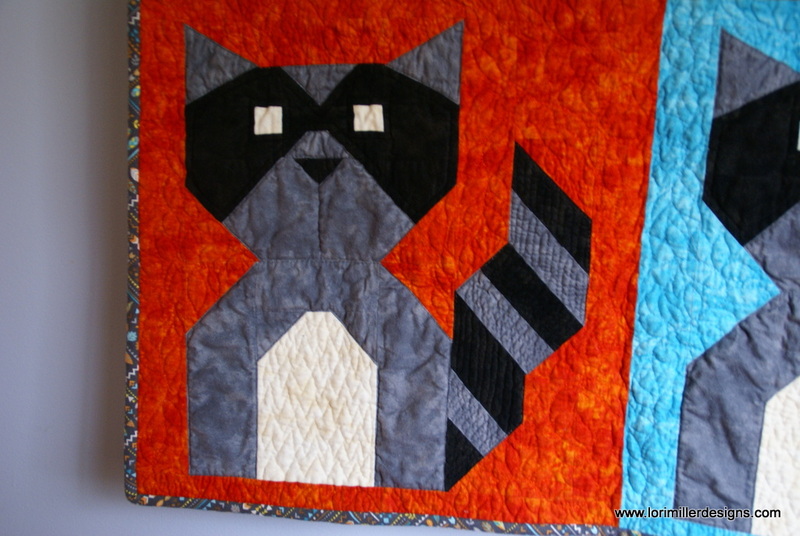 For this quilt, because I had some interesting piecing directions I wanted to try, I made a prototype quilt. And I made him super modern, a blue raccoon! 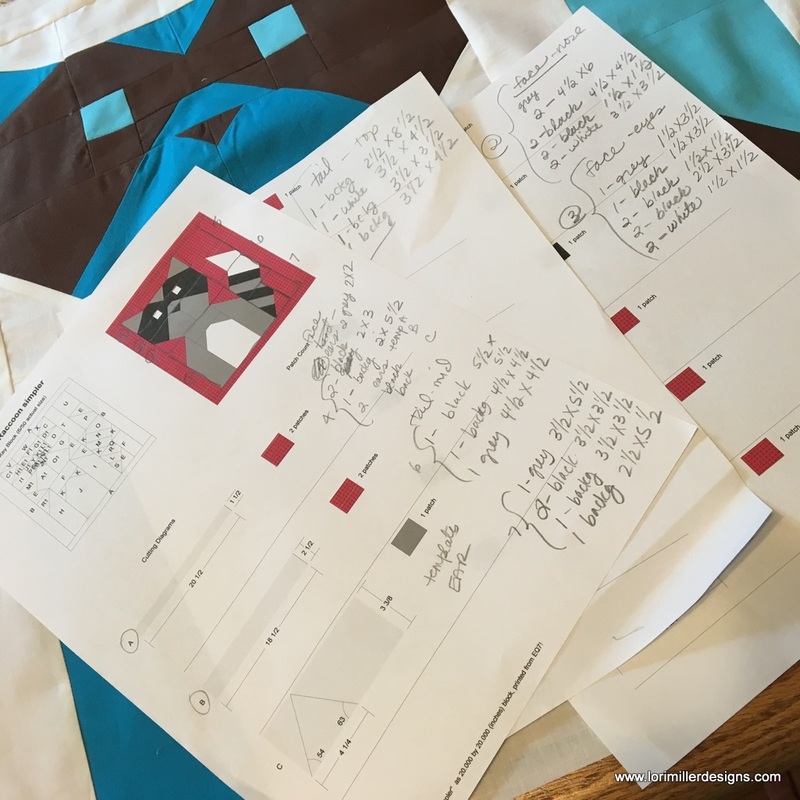 I print out the rotary cutting directions from EQ7 and then I adjust them based upon how I want to assemble the quilt using my quilting knowledge. I like to avoid bias edges and make things as easy as possible to assemble. So I write up all my notes as I sew. Here is my Baby Blue Bandit. It just gives you an idea of how by just changing colors, you can make lots of different styles from one pattern. I used some simple constructions shortcuts to make this giant 20″ block even faster. There is only one template for the ears. I loved this cute little critter, I hope you enjoy making one too! Thanks for letting me share! Happy Stitching!